I value the point in the article – read to your babies – but dismay set in as I read the end. The suggestions it makes about low income families and radicalized families was unsettling, perhaps an even small analysis as to WHY the statistic are what they are would be helpful. The undertone of the above statement does not sit well with me. While implicit, the message I read is that parents with low-income do not care to read to their children or do not know the value of doing so… is it just me that reads the tone in this way? It would be helpful to read about why that is: parents with low-income struggle to find the time to read to their children because they are working shift work, or 2-3 jobs to make ends meet, or have such intense stresses in their lives, or have difficulty affording books and are unable to get to libraries with ease… Is it a choice to read or not read to children? Or is the suggestion an imposition of wealthy class values? The realities of low-income versus wealthy families go beyond simple statements of what they do or not do. No matter how overwhelming it feels now, while your son is small and dependent, remember that one day it will change. The former you – the activist and author and tireless campaigner who never had spit up in her hair or a soother in her handbag – is still there, lurking at the back of your neglected shoe closet. She might have receded for the moment, but she will emerge again. And in the meantime, here’s a tip: Don’t be afraid to ask your husband to do more. I know he’s busy. 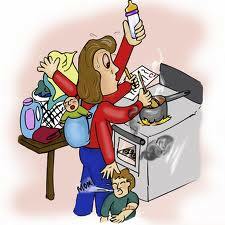 Given the way careers unfold many female doctoral students and new faculty are new Moms. Take heart – you are doing plenty and do not forget that that you are smart women who deserve to be in academia. Brush that guilt off your shoulders. The exhaustion will pass and you will be stronger and wiser. Remember, we are here for you and will continue to be here for you because you are our valued colleague and friend. Print off McLaren’s article and when you need a boost, read it (mind you it might be at 2:00 a.m.). When in Japan last week, I (Clive) was able to gather some opinions on “Japanese lesson study,” which to a degree is being advocated in other countries as well as Japan. Briefly, it involves a teacher preparing a lesson, perhaps with help from others, teaching the lesson with colleagues looking on, and subsequently getting feedback from those present (other than the students) on the lesson and its delivery. During a visit to an elementary school, the principal told me that those doing the teaching don’t enjoy the experience, though he is inclined to think that on balance it is useful. At a teacher education institution I learned that student teachers have to engage in lesson study as a key element in their final practicum. 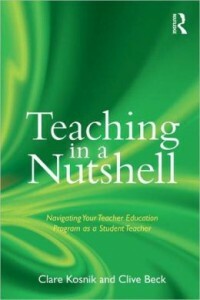 A teacher educator commented that the student who is “on show” typically feels under extreme pressure, is unable to sleep the night before, has to keep entirely to a script submitted beforehand, and is subjected to strong criticism afterwards by fellow student teachers, notably for diverging from the script. She clearly wasn’t keen on the process, at least as implemented in pre-service programs she is familiar with. It seems to me that collaborative lesson development has to be handled very carefully, in Japan or anywhere else. Discussing with colleagues what and how to teach has enormous potential benefits, and many teachers in our longitudinal study are in favor of it. 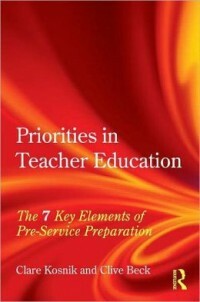 However, a friendly, collegial atmosphere must be established; it should be made clear that each teacher is in the end responsible for their practice; appropriate departure from what is planned should be applauded rather than condemned; and there should be no expectation that all teachers will teach the same things in the same way. This is in keeping with important general ideals of teaching such as constructivism, flexibility, individualization, and teacher professionalism. 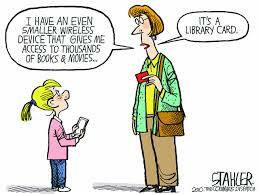 Are Public Libraries a thing of the past? As a girl, I (Cathy) used to walk to the library regularly. It was a good two mile walk and I usually went alone because no one I knew was as passionate about books as I was. I never minded. I loved the library. It was a treasure chest for me. I find I don’t go very often any more because I can often find what I need on line. But I still like the actual feel of a book. Guess it’s comfort food for the eye and hand. I wonder how many young children actually still go? 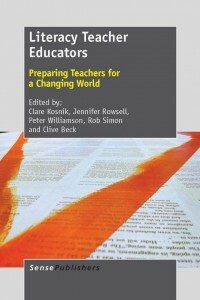 What Influences How Teachers Teach? In both my experience teaching pre-service literacy courses and my current research with student teachers I (Lydia) have witnessed the sense of anxiety and discomfort many student teachers voice when they are faced with the prospect of teaching poetry during their practice teaching placements. Often, their associate teachers are themselves not comfortable with poetry and therefore, they have difficulty scaffolding the teaching of poetry or providing supportive resources for student teachers. This awareness has motivated Clare and I to delve into poetry within the first few weeks of the P/J and J/I literacy courses, in an effort to ease some of the initial anxiety student teachers experience in anticipation of teaching poetry. We attempt to provide multiple entry points into the teaching of poetry by presenting student teachers with various forms of poetry, and by highlighting the creative expression and emotive potential offered by this medium. We also provide them with a number of resources and pedagogical strategies they can utilize during their practice teaching placement. 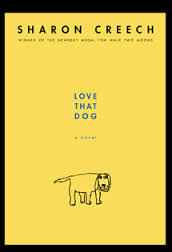 I recently picked up a copy of the book Love that Dog by Sharon Creech, which I hope to use in the literacy methods courses this year because the insight provided into how students might feel about reading and writing poetry is useful for both teachers and students. Throughout the book, the main character a young boy named Jack journals back and forth with his teacher Ms. Stretchberry, cleverly expressing his initial resist and eventual connection to poetry. Jack initially pronounces, “I don’t want to because boys don’t write poetry. Girls do”; however, through his ongoing dialogue with his teacher Jack experiments with word choice, sounds, and rhythm as he is engages with various poetic formats. My favorite entry in the book is “November 22.” Hopefully the student teachers in the literacy courses this year will enjoy this touching book as much as I did. Google’s daily doodles tend to put a smile on my (Pooja) face, as I suppose they are intended to do. The past eight days of Google’s doodles have been dedicated to the FIFA World Cup being hosted in Brazil. To keep pace with the World Cup, the doodles have been changing multiple times a day to reflect in real time what is happening in Brazil. This has never been done in real time response, there is not really an event so singular where the whole world is watching. The fact is that this is a singular sport, one game is on at a time and the whole world is fixated on one match and so it is a chance to be part of the dialogue. The part we are celebrating is that the whole world comes together. It is that time of year again when thousands of University graduates wear their gowns and receive their degrees of academic achievement. I (Yiola) work in the most amazing graduate/teacher education program. The Child Study and Education program (MA CSE) that is part of the University of Toronto (OISE/UT). The program’s vision, structure, and content, are premised on the child being at the centre of learning. How children learn and what research says about children’s learning are central to the program. The program looks at child development and learning and grounds these notions in the varied contexts (social, cognitive, spatial) that children experience. 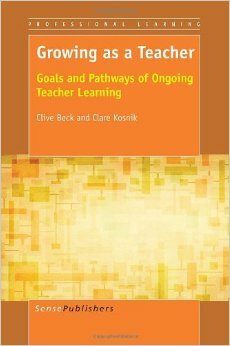 With this focus in mind, I teach a curriculum course and a teacher development/instructional methods course. 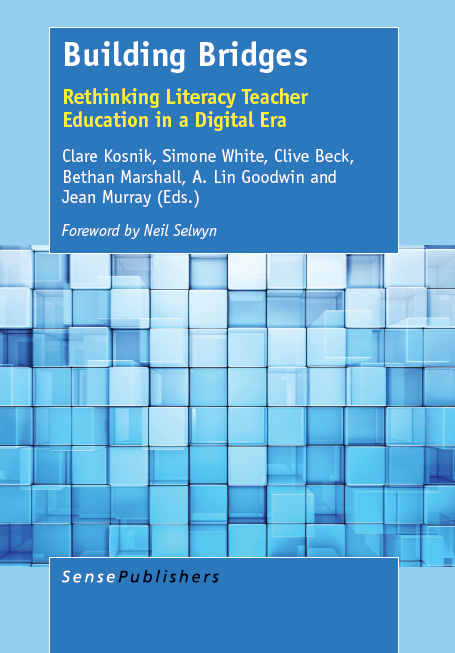 Equity and inclusion, collaborative practice and professionalism frame my courses. This two year Masters level graduate program prepares teacher candidates for teaching in elementary classrooms (early years to sixth grade). The program now admits sixty students per year. 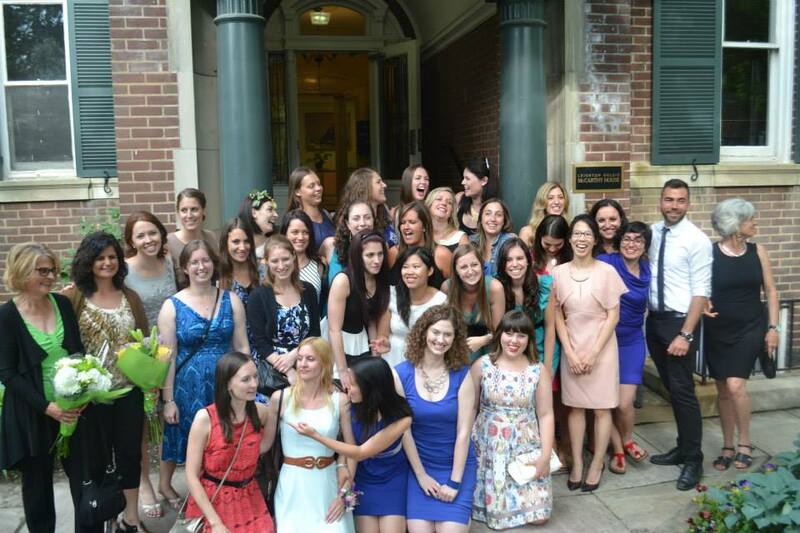 Included here is a photo of some of our graduates at our graduation reception last week. This photo is taken in front of our beautiful and unique building, the McCarthy house, located at 45 Walmer Rd. in Toronto. It is an old Toronto mansion that not only houses the MA CSE program but also contains the Toronto Laboratory School and the Laidlaw Centre (faculty from the University of Toronto). As I watched and celebrated with our graduates this year I heard of the many journeys that were upcoming: many are now on the Toronto District School Board hiring list and will be occasional teachers in Fall, some are going on to PhD programs, a few are traveling to places around the world to explore and contribute to schooling systems abroad (India, Brazil), some graduates are entering the independent school system. I wish every graduate much success and happiness as they embark on new challenges and adventures. Mostly, I wish the graduates of the MA CSE program a continued sense of commitment and passion for instilling a love of learning, a sense of confidence and an “joie de vivre” in the lives of all the children they teach. Some of the amazing graduates from the MA CSE program. I (Yiola) am 2nd from the left. Next to me is my wonderful colleague Prof. Dale Willows. My (Clare) work productivity has taken a real tumble the past week with not much hope of it improving for the next three weeks. Watching the World Cup seems to have become my main occupation. For many years I have been a real fan of the World Cup. I was introduced to the World Cup in 1988; however, at that time, few games were broadcast because the television market in Canada was miniscule. Oh how things have changed. The entire tournament is now broadcast (and repeated throughout the night). The World Cup has its drama – questionable calls by the refs, diving players, FIFA’s “unusual” decisions, and rowdy fans. Nevertheless, I love the way the world comes together to cheer their team and join in a global celebration. The University has just established an International Education Research Center with a global perspective and I was asked to be a visiting scholar there. On Thursday I returned from a brief visit, having given lectures and engaged in discussions about our SSHRC longitudinal study of teachers and its implications for teacher education. On Tuesday I conducted two classes with second year students. We discussed the growing sense of expertise among the teachers in our study, their decision-making about which topics to emphasize and how to teach them, their increasing emphasis on integration and individualization, and their search for a degree of work-life balance so they could “survive and thrive” as teachers and be a role model for their students. Despite the constraints of the national examination system, the student teachers were very interested in these ideas and seemed keen to explore them during their pre-service program and subsequently. They felt there was some room for flexibility within the system and they should begin during their preparation program to figure out how to take advantage of this flexibility as much as possible. Kobe Shinwa Women’s University has an outstanding reputation for teacher education at the elementary level and a high proportion of their graduates get jobs immediately. This encourages the teacher candidates to think deeply about pedagogy because they have a good chance of having a classroom of their own in the near future.